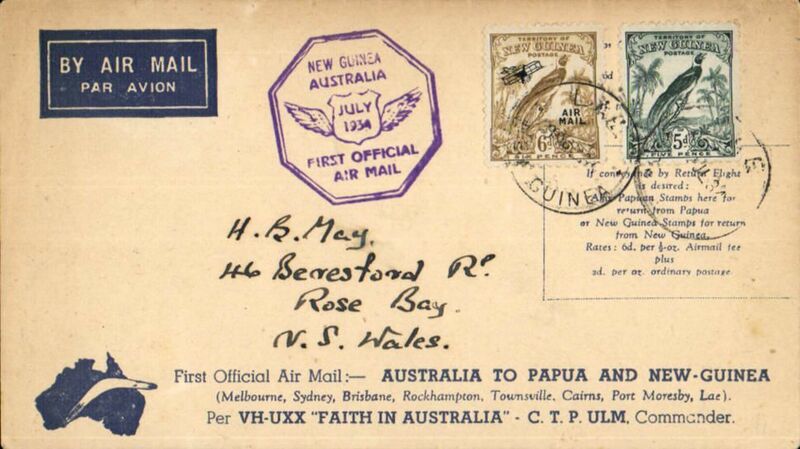 Ulm and Allan's return flight in "Faith in Australia," flown from Port Moresby to Sydney 1/8, attractive red/blue/pale blue souvenir cover with decorative border and inset picture of Commander CTP Ulm, franked 5d and 3d Papua air stamps (SG196,197), violet octagonal flight cachet. 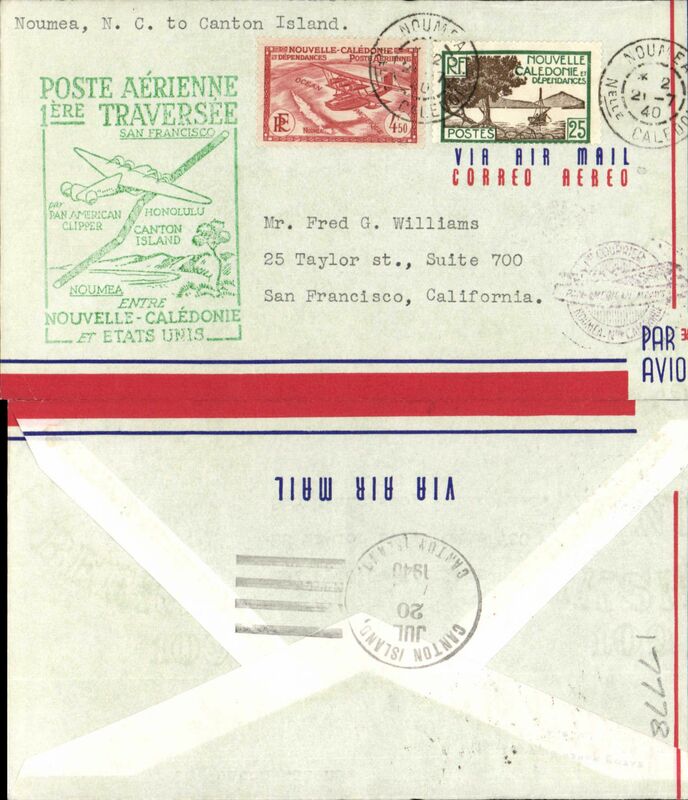 Pan Am, F/F FAM 19, Noumea to Los Angeles, green cachet, b/s, air cover. 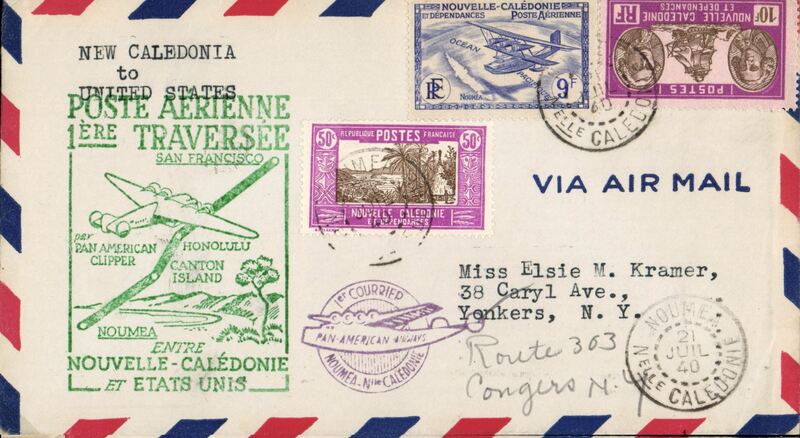 Pan Am, F/F FAM 19, Noumea to Canton Island, green cachet, b/s, air cover. 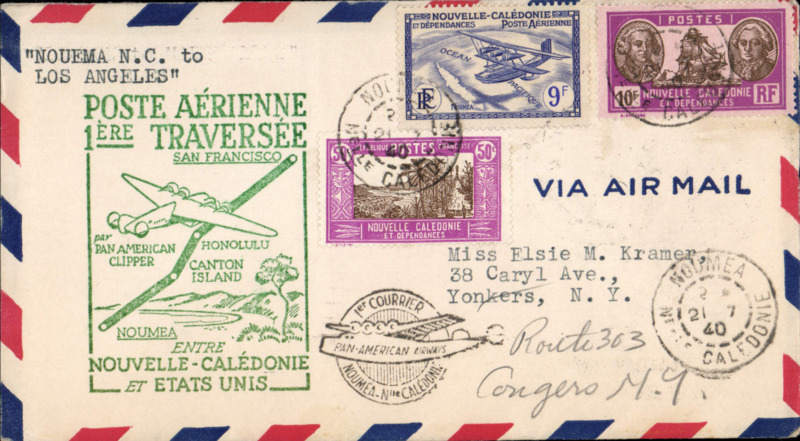 Scarcer Crosby cacheted Pan Am Trans-Pacific F/F FAM 19, Noumea to Honolulu, b/s, fine black Crosby cachet, official flight cachet, airmail cover. 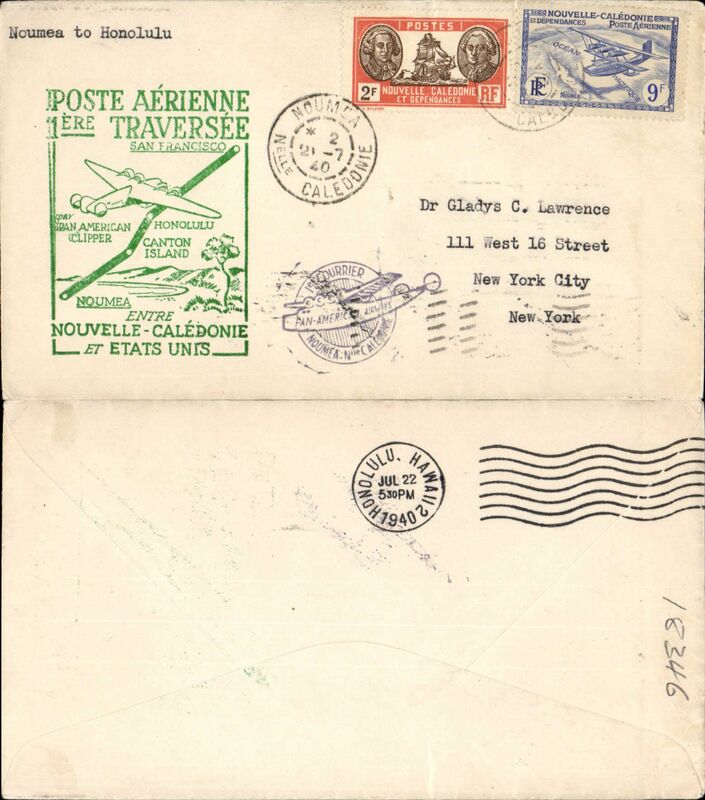 Popular with collectors, but not easy to find. 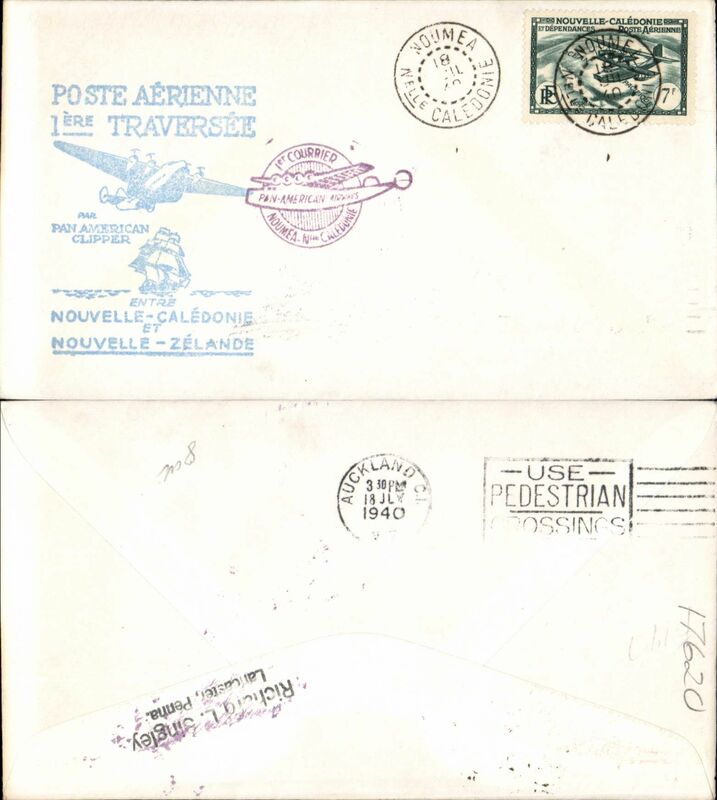 Pan Am, F/F FAM 19, Noumea to Suva, cachet, b/s, plain cover. 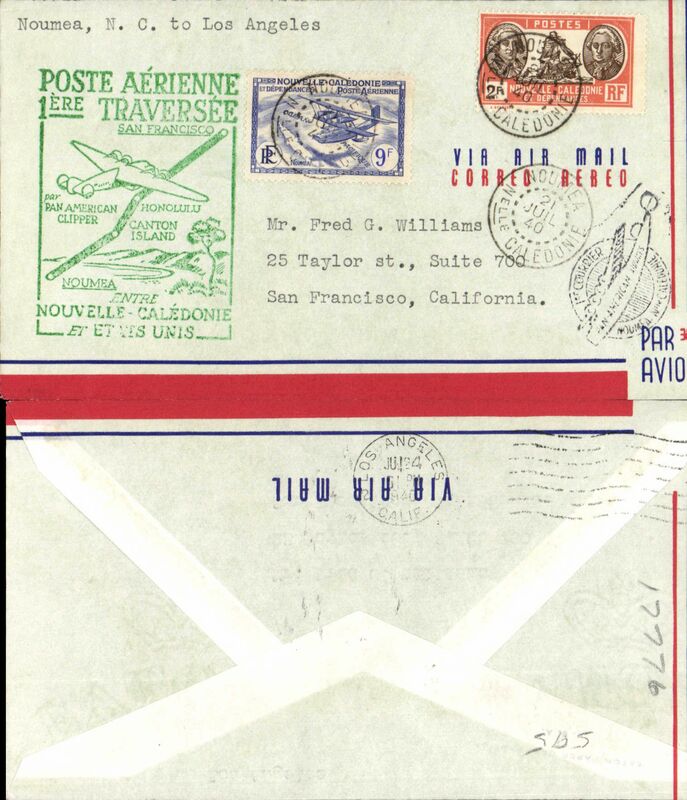 Pan Am, F/F FAM 19, Noumea to Suva, red cachet, b/s, air cover. 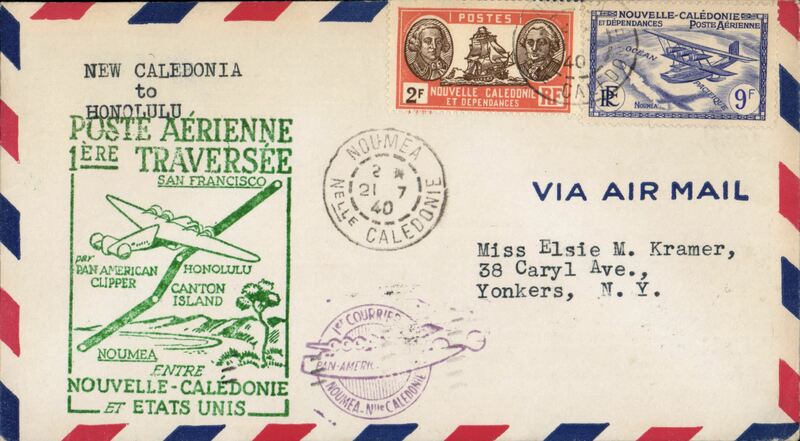 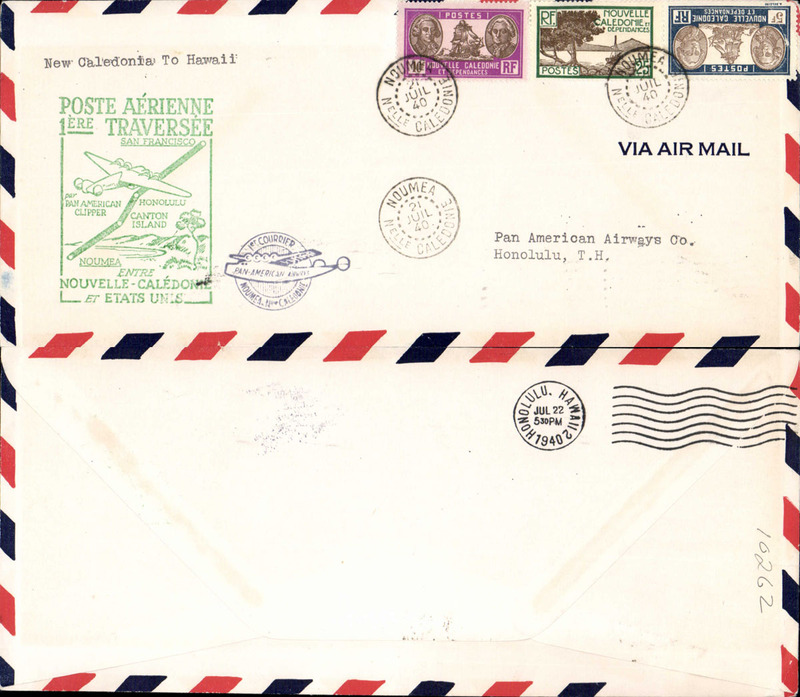 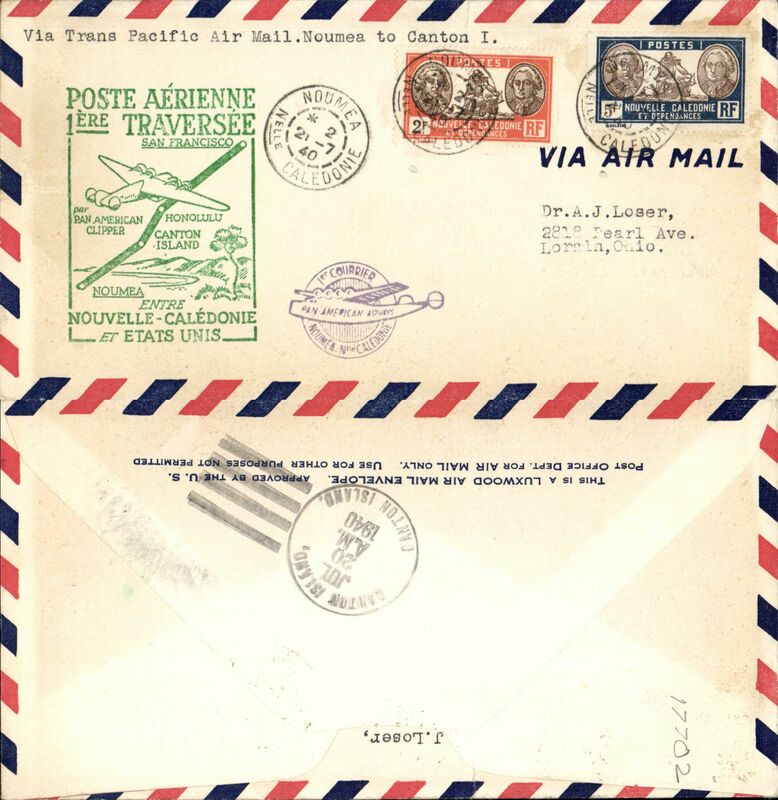 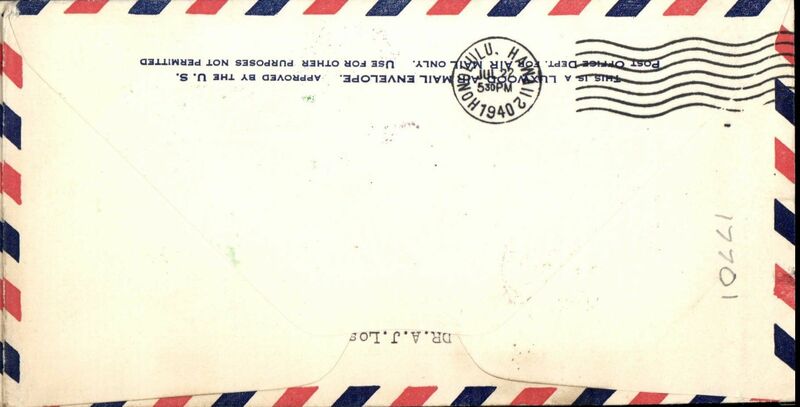 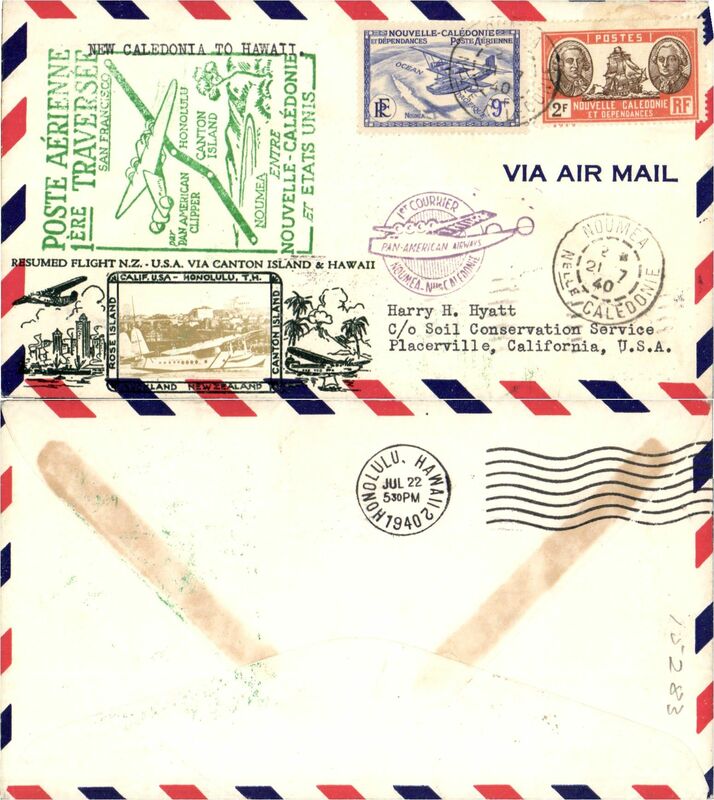 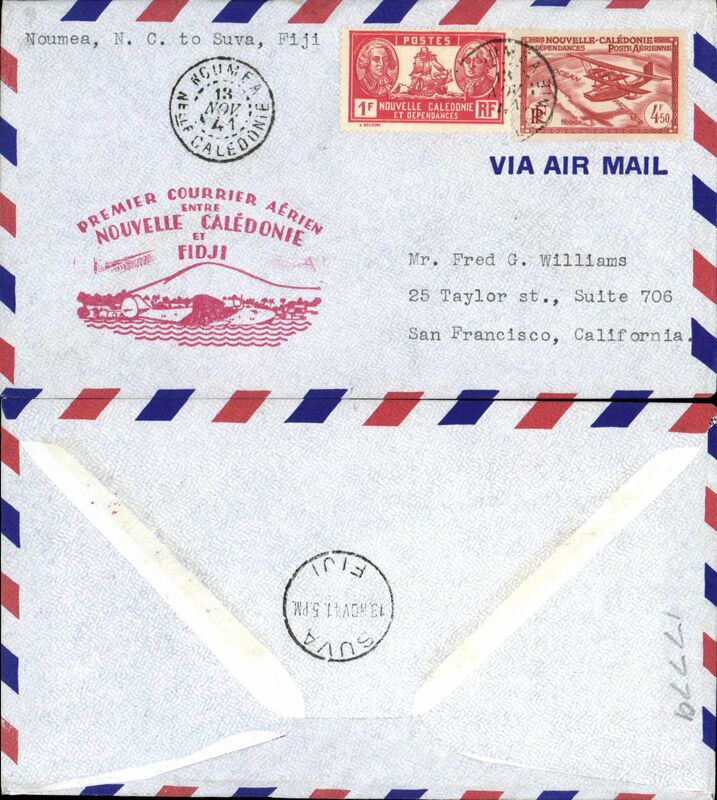 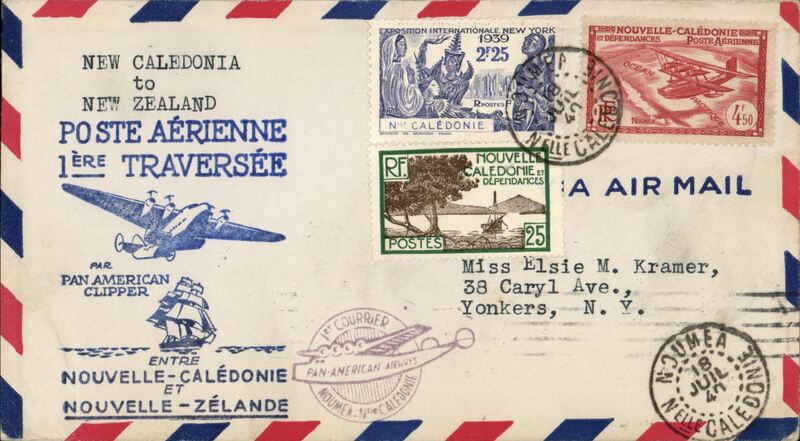 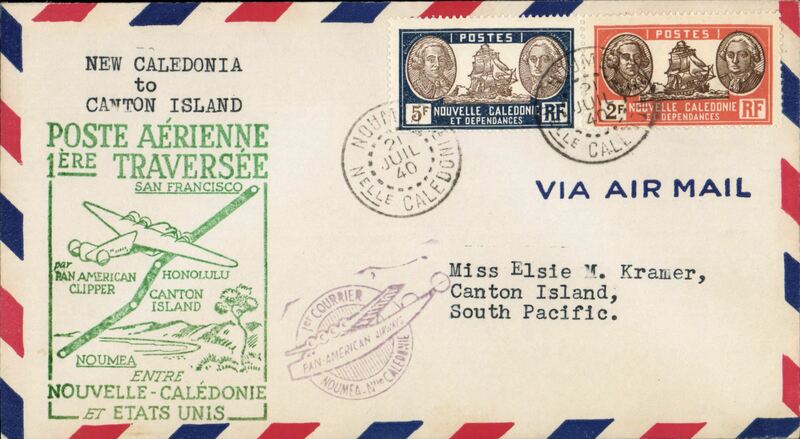 Pan Am, F/F FAM 19, Noumea to Suva, bs 13/11, imprint etiquette airmail cover franked 1933 1st Anniv. 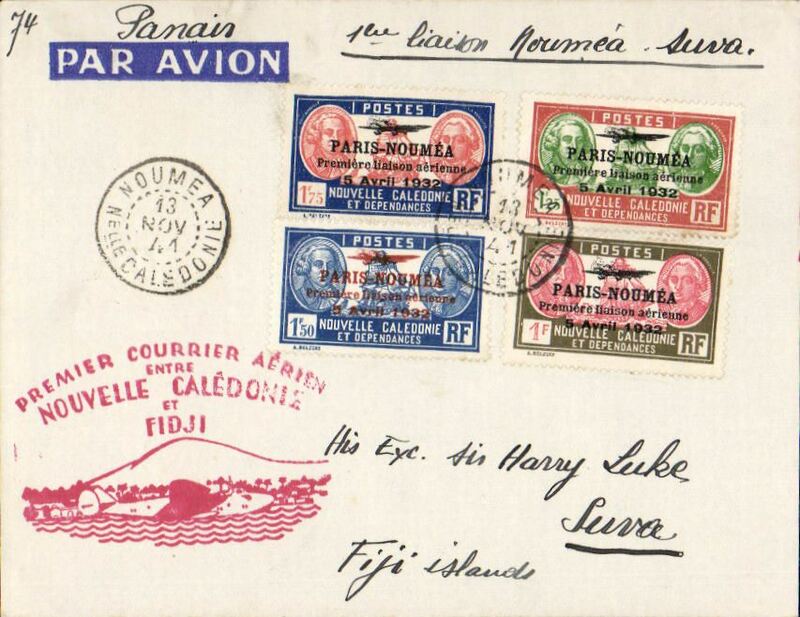 of Paris-Noumea 1F, 1.25F,1.50F & 1.75F (cat SG £40.00 used), official red flight cachet, Attractive item.